It’s time for “Saturday Night Share” featuring Ashley Lanier of Willing Hands Crochet. Ashley has hung out around ELK Studio’s Facebook page for a while and I’ve enjoyed her company and interaction on the page. 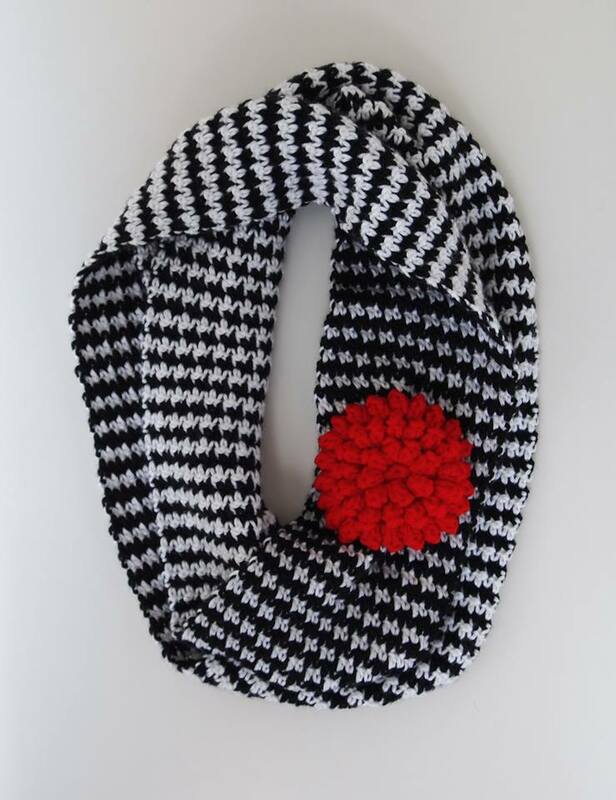 She actually has made the Hounds Tooth Scarf and featured it on “Making it thru Monday”. Ashley was pretty excited today because someone added her scarf to a treasury on their Etsy store. Her scarf turned out beautifully don’t you think? The added red flower really adds a splash of color too! What is your favorite thing to crochet? Is crocheting a hobby or business for you? Tell me something personal about yourself. 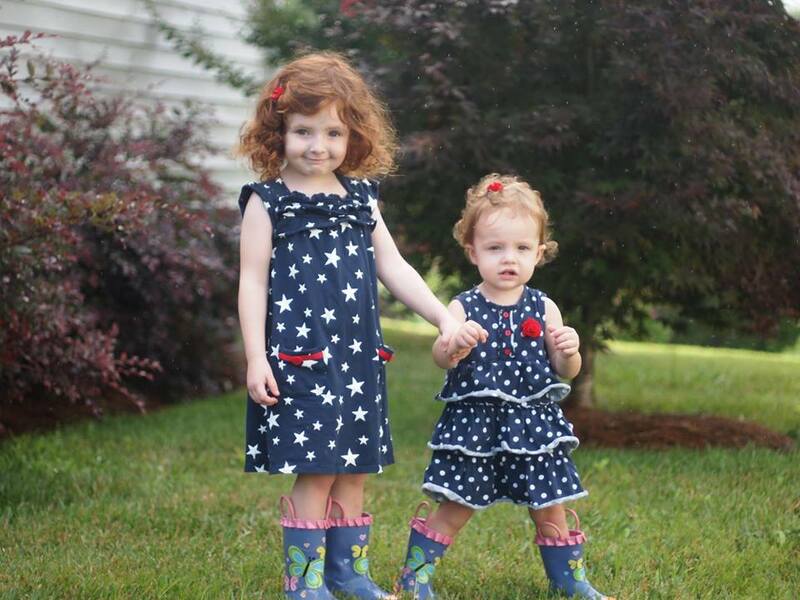 Here is a picture of two of her most favorite little people in the world, her daughters Alayna and Julianna. Some of the cutest little girls ever and I know you are so proud! Thanks for sending the picture of them! It was such a pleasure to get to know more about you Ashley and I’m grateful you took the time out of your busy schedule to share with me and everyone else. Check out Ashley’s Facebook page too. She makes some really beautiful bracelets for a great cause! Until next Saturday, have a great day and be blessed! Love the scarf Ashley and the girls are too adorable for words! Love your crochet Ashley and you have very beautiful girls!